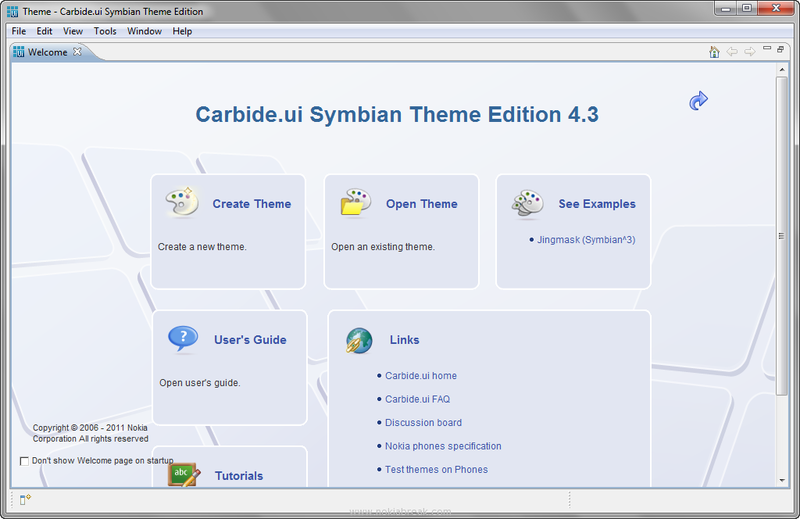 Carbide.ui Theme Edition is a free tool for creating, editing, and packaging themes for Nokia Belle, Anna, Symbian^3, Symbian 5th edition and Symbian Series 40. It allows you to create custom UI by altering the look and feel or sound of customizable UI components. 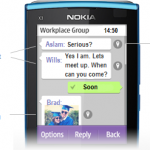 Theme components are display and sound items that can be customized to build a graphical UI or emit sounds initiated by certain actions or events on the device. Carbide.ui provides all the tools needed to create a theme but it does not include tools to create the graphics or sounds used to customize components. To create graphics and sounds you need to use third-party bitmap editors, Scalable Vector Graphics (SVG) editors, and audio editors. Note: Changing a device theme only changes the look and feel of the UI (User interface). 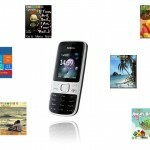 It does not changes the functions and features of the phone. 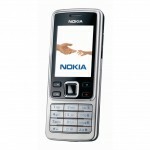 [*] Carbide.ui Theme Edition for Symbian 40 helps to create themes for Nokia Series 40, Series 40 5th Edition, Series 40 6th Edition, Series 40 6th Edition FP 1 . [*] Carbide.ui Theme Edition for Symbian s60 helps to create themes for S60 (S60 2nd Edition, S60 3rd Edition, S60 3rd Edition FP1 S60 3rd Edition FP2, S60 5th Edition), Symbian^3 (Nokia Belle, Anna, Symbian). [*] System Requirements: Windows XP, Windows Vista and Windows 7. Carbide.ui Theme Edition comes with an option to create new themes or to edit existing theme. The view structure is designed to help the theme creation process, by showing all relevant information on the screen at the same time. For example, the file structure of your workspace can be seen from the Navigator view, while the current theme is active in the Theme editor view. You can customize all the views according to your own preferences.